Individuals under the age of 18 are not eligible to use this Site and may not submit any personal information to us. By using this Site, you hereby represent that you are at least 18 years of age. Personally Identifiable Information: If you sign up for our newsletter, you will be asked to provide personally identifiable information such as your full name and e-mail address. Aggregate Demographic Information: We use web analytics tools to gather anonymous, aggregated demographic information by tracking IP addresses and other types of Traffic Data (defined below). We use this information in an aggregated form and share it with third parties who need to better understand users’ activity on this Site and to third parties who need access to the information to provide services to us. To learn more about our collection and use of Traffic Data, see the “Traffic Data” section below. if we deem it necessary to disclose personally identifiable information or Traffic Data, in our sole discretion, to comply with any applicable law, regulation, legal process or governmental request, or to protect our rights or interests. for any other purpose or use, provided we have your prior written consent. As discussed above, if you do not want us to use your personal information for our marketing purposes, please use the “unsubscribe” link at the bottom of our newsletter or send us an e-mail at [admin @ sylviaday.com] stating that you withdraw your consent to such use. Traffic Data is anonymous information that does not personally identify you but is helpful for marketing purposes and for improving your experience on this Site. When you visit this Site, we automatically track and collect the following categories of information: (1) web beacons; (2) IP addresses; (3) log files; (4) domain servers; (5) types of computers accessing this Site; and (6) types of web browsers used to access this Site (collectively “Traffic Data”). IP Addresses: An Internet Protocol (“IP”) address is a number assigned to each computer on a network to identify your computer every time you log on to the Internet. We keep track of IP addresses to troubleshoot technical concerns and to maintain website safety and security. In addition, we use IP addresses to analyze trends, administer this Site, track traffic patterns, and gather demographic information for aggregate use. When possible, we combine your IP address with personally identifiable information we have about you to recognize you. Log Files: We collect log files that record website activity and gather statistics about web users’ browsing habits. These entries are generated anonymously and help us determine (among other things) how many and how often users have visited this Site, which pages are visited, and other similar data (a.k.a., “navigational data”). We also use the log file entries for our internal marketing and demographic studies, so we can constantly improve the online services we provide you. Log files are used internally only and are not associated with any particular user, computer, or browser. We use “cookies” to collect Traffic Data in order to customize content specific to your interests and make your navigation of this Site easier during subsequent visits. Cookies: A “cookie” is a piece of data stored on your hard drive that enables us to track and target your preferences. Once placed on your device’s hard drive, the cookie will remain there until you remove it. We place a cookie on your device’s hard drive so we can recognize you as a return user to personalize and improve your experience on this Site. We also use temporary or “session” cookies to help you learn more about and/or order this Site. Web Beacons: Web beacons (also known as “web bugs” and clear GIFs) are small strings of code that provide a method of delivering a graphic image on a web page or in an e-mail message for the purpose of transferring data. We use web beacons on this Site and include them in the e-mail messages we send you. We use web beacons for many purposes, including site traffic reporting, unique visitor counts, advertising e-mail auditing and reporting, and personalization. Information gathered through web beacons is linked to other information we have about you. Responding to Do Not Track Signals: At this time, this Site does not respond to “Do Not Track” signals received from our users’ web browsers because we do not allow third parties to collect any of our users’ personally identifiable information for the purpose of tracking our users’ online activities. Analytics: We may use Google Analytics to provide analytics services as described above. To learn more about how Google Analytics collects and processes data and the choices Google may offer to control these activities, you may visit support.google.com/analytics/answer/6004245 and to opt out of Google Analytics you may visit tools.google.com/dlpage/gaoptout/. Cookies: You may choose to block this Site and other websites from setting cookies by changing the settings of your browser. Please note that blocking or disabling certain cookies may interfere with certain functionalities of some parts of this Site. CAUTION: If you block or delete technical and/or function cookies used by this Site, this Site may become impossible to browse, certain services or functions of this Site may become unavailable or other malfunctions may occur. In this case, you may have to modify or manually enter some information or preferences every time you visit this Site. Targeted Advertising: We use information collected about a user’s use of this Site to arrange for advertisements about this Site to be served to a user on third party’s websites in accordance with our eMarketing Policy. To do so, our advertising service provider places or recognizes a unique cookie on the user’s browser and uses other techniques, such as pixel tags. Most web browsers automatically accept cookies, but please note that you may at any point in time change your browser settings to stop receiving new cookies or request to be asked each time whether you wish a cookie to be installed onto your hard drive. If you reject this Site’s cookies, you may still access this Site, but some features may not work properly on your device or may prompt you to provide additional forms of authentication during your session. Opt-out of Interest-based Advertising: You may opt-out of receiving interest-based advertising as explained below. The opt-out may be provided through specific opt-out cookies. Please note that using a new computer, using a different browser, upgrading certain browsers, or modifying or erasing a browser’s cookie file, may clear an opt-out cookie. Please bear in mind that there are many more companies listed on these sites than those that place cookies on your device when you access this Site. EAA law prohibits the use of profiling cookies unless the individual has agreed to receive these cookies. When an individual visits this Site, we send a request to opt in to our cookies. Browsing or session cookies: these cookies are strictly necessary for the operation of this Site, and/or to allow the user to use this Site’s content and Services. Analytics cookies: these cookies provide information that is used to understand how a website is used, and to track traffic to and from a website. Functional cookies: these cookies are used to activate specific functions and to configure webpages according to the user’s preference such as font size or language. Profiling cookies: these cookies are used to observe a user’s interest based on activities on a website, and to send advertisements that take these preferences into account. We implement various security measures throughout this Site, such as SSL technology, in accordance with industry standards to protect the security of your personally identifiable information both online and offline. Unfortunately, the transmission of information via the Internet is not completely secure. Although we do our best to protect your information, we cannot guarantee the security of any information you transmit to this Site. Any transmission of information, including personally identifiable information, is at your own risk. We are not responsible for circumvention of any privacy settings or security measures contained on this Site. If we provide links to social media platforms, such as Facebook or Twitter, and you choose to visit those websites through our links, please note that the personal information you post, transmit or otherwise make available on those websites may be viewed by the general public. We do not control user-posted content on social media homepages and are not responsible for any third party use of your personal information that you have posted, transmitted or otherwise made available there. We share Personal Data with the entities listed below: We believe that our practices below are fair, lawful, and proportional in light of the legitimate interests and needs of our business, our legal obligations, and our obligations under our contracts; that they fairly address each individual’s legitimate rights and expectations in view of the context and purpose of the collection and use of the information collected; and are not intrusive or contrary to individuals’ rights. Disclosure to Marketing Partners: In countries where such activities do not require prior explicit consent, we may provide personal information of individuals to third party marketing companies, affiliates, advertising agencies, and data aggregation companies. These partner firms use this information to provide individuals with information on products and services that may be of interest. In countries, such as in the European Economic Area, where such activities are restricted, we conduct these activities in accordance with applicable local laws. Service Providers: We share information with our suppliers, subcontractors, and other third parties who provide services to us (collectively “Service Providers”) in connection with hosting, data analytics, information technology and infrastructure, order fulfillment, email delivery, auditing, and other related activities as necessary to perform the Services that the Customer purchased and to comply with our legal or contractual obligations. We provide only the information such service providers need to perform their designated functions. Our contracts with them prohibit them from using or sharing with others the information that we provide to them, or that they collect directly for purposes other than as directed by us. Events: If, in connection with an event, an individual provides us with contact information, we assume that this constitute an affirmative explicit consent to our collection and use of this information for marketing purposes. Some of the events in which we participate may be organized and hosted by unaffiliated organizations. These entities may require attendees to these events to provide information such as their name, email address, and/or phone number as part of the registration process. We cannot control this collection or use of information. We encourage you to read the privacy statements of any third parties to whom you provide information, as they control how such information is handled. Affiliates Entities: We share information with entities that are under common ownership or control of our parent company (“Affiliates”). Subject to local law requirements, express preferences indicated by individuals, or our contractual obligations the terms of this information may be used to promote the services offered by our Affiliates and for the purposes described in this Privacy Notice. Fraud Prevention and Protection of Legal Rights: We may use and disclose information to the appropriate legal, judicial or law enforcement authorities and our advisors and investigators (i) when we believe, in our sole discretion, that such disclosure is necessary to investigate, prevent, or respond to suspected illegal or fraudulent activity or to protect the safety, rights, or property of our company, our followers, or others; (ii) when an individual has exceeded the permitted use of this Site, gained unauthorized access to any part of this Site, engaged in spamming, denial of service attacks, use of malicious code, or similar attacks; (iii) to exercise or protect legal rights or defend against legal claims; or (iv) to allow us to pursue available remedies or limit the damages that we may sustain. Law Enforcement: We may have to disclose Personal Data if a court, law enforcement or other public or government authority with appropriate jurisdiction so requests, and we believe, in our reasonable discretion, that such request was made in compliance with applicable law. If you submit your information to join our mailing list, then you may choose to unsubscribe from any future communications by clicking on the “unsubscribe” feature within the e-mail communications we send, if any, or by using this link. At any time, you may update your information by using this link or emailing [alert @ waxcreative.com]. We reserve the right to remove a user from our mailing list at any time, in our sole discretion. Retention Period: Retained as necessary to fulfill such purposes. We retain the data as necessary to protect our interests related to potential liability. Retention Period: Retained from the moment the user gives consent until consent is withdrawn. Where it is not withdrawn, consent will be renewed at fixed intervals. Retention Period: Retained from the time when we receive it in the context of purchases or requests made via this Site until the user objects to this processing. Retention Period: Retained for the period required by the specific legal obligation or by the applicable law. Retention Period: Retained as long as necessary to fulfill the purposes for which it was collected, unless the user objects to the processing and there are no other legal grounds justifying the retention of the information. For EAA users, the grounds on which we rely to process Personal Data according to the purposes identified include the following. We also include whether the provision of the data is mandatory. Legal Ground: The information necessary to provide the Services, fulfill the request that you make, take steps before entering into a contract with you, or perform a contract entered into with you. If you do not provide the information needed, we will not be able to provide certain Services to you over this Site. Legal Ground: We collect marketing information so that we can understand our market and have opportunities to communicate with potential or current customers so long as the use of the data is not overridden by the interest of the individual. Legal Ground: Marketing to existing followers is based on our legitimate interest in expanding our relationship with individuals who have previously purchased or shown interest in our products that are identical or similar to those the individual has previously purchased or requested through this Site. Legal Ground: For some visitors, processing is based on the user’s consent, collected by means of the cookie pop-up banner and/or a specific tick box. There is no consequence for such refusal other than not being able to benefit from greater personalization when using this Site. Legal Ground: We have a legitimate interest in understanding how users use this Site so that we can improve accordingly, both to enhance the user’s user experience and to troubleshoot technical issues. Legal Ground: We have a legitimate interest in preventing and detecting fraudulent activities or misuse of this Site for potentially criminal purposes. The EU General Data Protection Regulation (GDPR) grants individuals who are in the European Union and European Economic Area (EU/EEA) the following rights, with some limitations. Users who are in the EEA may contact us, at the address provided in the “How to Contact us” section below, to exercise any of those rights and we will respond with the requested action or information, or will let you know why that right does not apply to you. Right Not to Provide Consent or to Withdraw Consent: We may seek to rely on your consent in order to process certain personal data. Where we do so, you have the right not to provide your consent, and the right to withdraw your consent at any time. If you withdraw your consent, this will not affect the lawfulness of the processing conducted based on consent before its withdrawal. Right of Access: You have the right to obtain confirmation as to whether or not we collect or process personal data concerning you and, if this is the case, you have the right to request a copy of such personal data in digital format. Right of Rectification: You have the right to require that we correct any inaccurate personal data concerning you, and that we complete incomplete personal data. Right of Erasure: In certain circumstances, you have the right to request that we erase personal data concerning you; for example, if it is no longer necessary for the purposes for which it was originally collected. Right to Restrict Processing: In certain circumstances, you have the right to request that we restrict the processing of the personal data that we have collected about you; for example, where you believe that the personal data that hold about you is not accurate or lawfully held. Right to Data Portability: In certain circumstances, you have the right to receive the personal data concerning you that you have provided us in a structured, commonly used, machine readable format, and the right to obtain that we transmit the data to another entity where technically feasible. Right to Object to the Processing: In certain circumstances, you have the right to request that we stop processing your personal data. Right to Object to the Processing for Direct Marketing Purposes: You have the right to request that we stop sending you marketing communications. Right Not to be Subject to Decisions Based Solely on Automated Processing that Produce Legal Effects: In certain circumstances, you have the right no to be subject to a decision based solely on automated processing – including profiling – that produces legal effects or similarly affects you. Right to Complain to a Supervisory Authority: You have the right to lodge complaint with a supervisory authority if you believe that our processing of personal data relating to you infringes the GDPR. If you are a California resident, you may request that we provide to you: (i) a list of the categories of personal information about you that we have disclosed to third-parties for those third parties’ direct marketing purposes during the calendar year preceding your request; (ii) the names and addresses of such third-parties; and (iii) if the nature of the third-parties’ businesses cannot reasonably be determined from their names, examples of the products or services marketed, if known to us, sufficient to give you a reasonable indication of the nature of the third parties’ businesses. 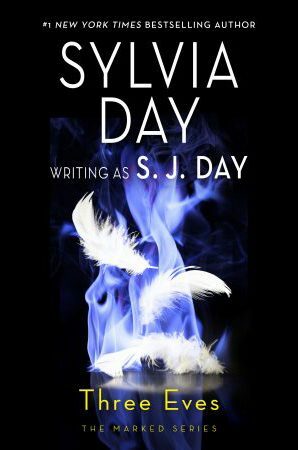 To submit your request, please e-mail us at [admin @ sylviaday.com]. Personal Data is collected and processed in several different countries. This Site is accessible by individuals located across the globe. Subject to applicable law, the personal data that we obtain from or about Individuals may be processed or transferred to data centers located throughout the world. The standards and laws that apply to the protection of personal data in these countries may be different from that which is afforded in the country where an individual is located. Individuals who are in the EEA and who request access to our Services and this Site are required to explicitly consent to the proposed transfer or processing of their personal data outside the EEA. 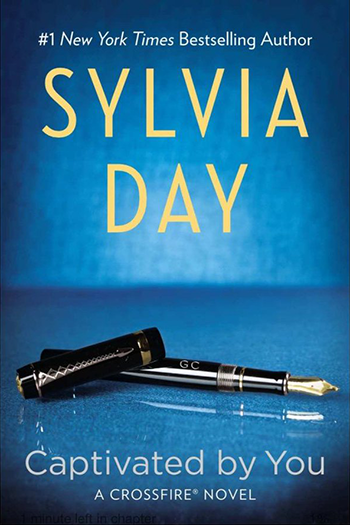 For any reason and at any time, you may contact us at [admin @ sylviaday.com].